With this new launch, Red Rake aims to give players the genuine Las Vegas atmosphere. Lively music that just makes you want to sit down, play and enjoy. An attractive design and a seemingly endless string of incredible prizes make for maximum gameplay enjoyment. This new video slot adds an original bonus feature with its heart gauge sidebar where players will receive free spins when achieving 4 or more straight respins, as well as having the opportunity to multiply their prizes. 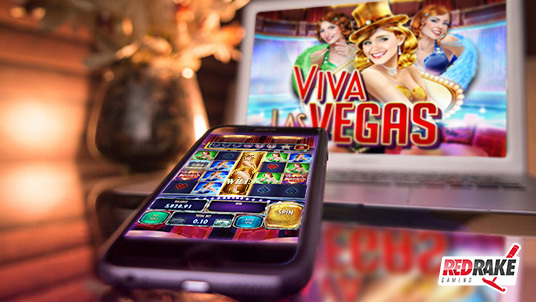 During the Free Spins Bonus feature, the featured “Viva Las Vegas” symbols - inspired by the legendary sign welcoming visitors to the city - will operate as Wilds, offering even more prizes in turn. Come, enjoy and remember… Anything can happen in VIVA LAS VEGAS!